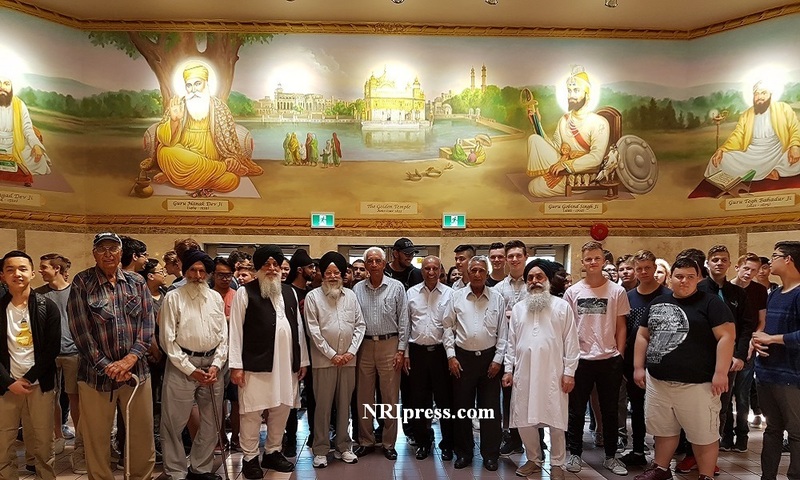 At least two or three times a week , various schools and other groups approach the management of India Cultural Centre of Canada Gurdwara Nanak Niwas (8600, #5 Road in Richmond) for a guided tour of the Gurdwara and learn about Sikhism and the Indo-Canadian community. It is a great honour for us at the Gurdwara to accommodate them and share with them the principles of the fifth most popular religion in the world. In this context, this place of worship has been creating awareness about Sikhism and the Indo-Canadian community for several years. It helps the young minds broaden their horizons. Such exposure to different faiths and cultures is bound to create more awareness in them and help them become more well- rounded, broad-minded and productive members of Canadian society. Most of them are very impressed with the basic principles of Sikhism, the message of universal brotherhood, human rights and equality as preached by our Gurus starting with Guru Nanak Dev ji. These students and adults are very keen to learn not only about Sikhism but also about the contribution of our community to the growth and development of Canada. 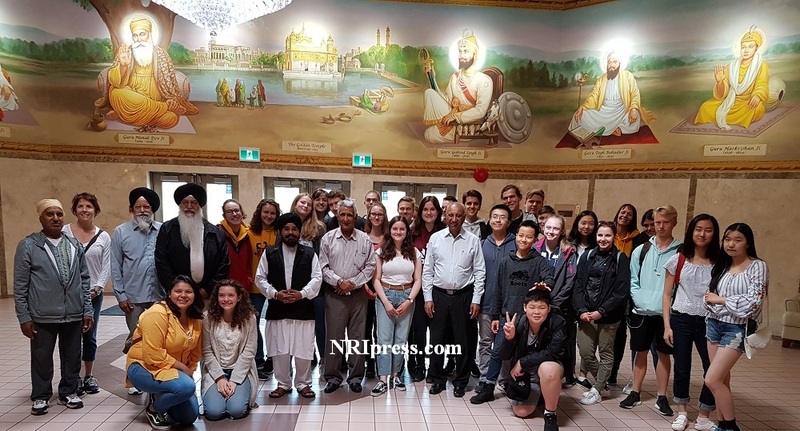 Two days later, a group of 80 plus grade 11 students from Mennonite Educational Institute, Abbotsford, under Dr. David McLauren’s leadership, visited the Gurdwara on May 23. It was a commendable bridge building initiative by Dr. McLauren. Again, it was an honour for this writer (on behalf of the Management Committee of the Gurdwara) to facilitate this visit. The participants were very impressed with the warm welcome and learning about Sikhism and the Indo-Canadian community in Canada. Before leaving for other places of worship they enjoyed light refreshments of samosas, juice and tea at the Gurdwara. The students and Dr. McLauren thanked us all for a very warm welcome. Such visits, especially by our youth, are a great way to promote intercultural and interreligious harmony and inclusiveness.